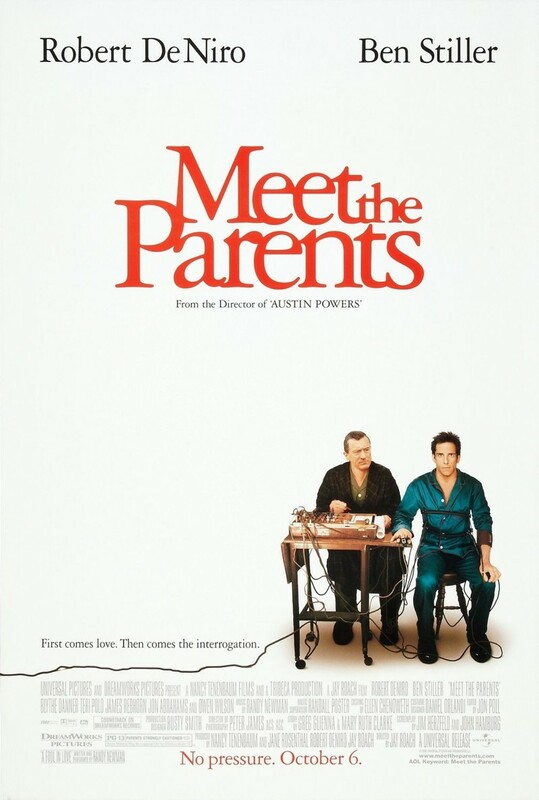 In the comedy "Meet the Parents," Ben Stiller stars as the hapless Greg Focker, who faces an uphill battle when he tries to win the approval of his girlfriend Pam's (Teri Polo) parents. While Mom (Blythe Danner) is pretty easy-going, Dad (Robert DeNiro) is gifted in the art of intimidation. He doesn't trust this newcomer, and he would much rather see his daughter end up with her ex, the fabulously wealthy Kevin Rawley (Owen Wilson). The movie is extremely heavy on the slapstick as Greg's nervousness leads him into a number of disastrous mishaps. The cornerstone of the movie is Stiller's dynamic with DeNiro as the two square off again and again before they can finally find some measure of peace in each other's company.